The anti-fungal properties of Borax make it an idea ingredient in many different products, including foot soaks. It's used commercially in Johnson's Foot Soap Soak, but you can also make your own formulation. The Borax will help with foot odor, and adding essential oils as desired will make it smell pleasant and aid in relaxation. Use a Borax foot soak before a pedicure, or just to relax after a long day. Add 1/2 cup of Borax and the baking soda. Add 5 drops of lavender oil and 2 drops of patchouli oil. Stir with your hand to help the ingredients dissolve. Set the tub by a chair and put your feet into it for 10 minutes. You can use whatever types of essential oils you like. 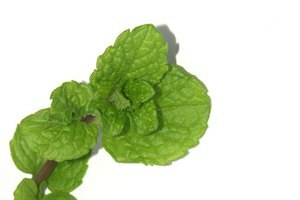 Peppermint has re-energizing qualities, while rosemary oil is good for pains. What Household Products Are Good for Soaking the Feet?